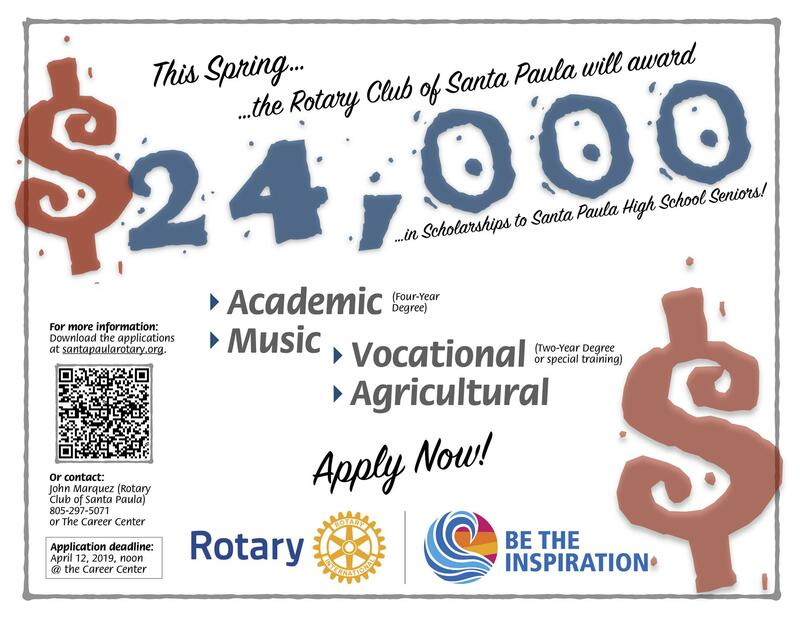 There are $24,000 in scholarships available for Santa Paula High School and Renaissance High School 2019 graduating seniors. The application may be picked up in the Career Center or downloaded from our website, www.santapaularotary.org. Application deadline is noon on April 12, 2019. No late applications will be accepted. Scholarships are available for 4 year schools, 2 year schools, vocational schools, music and agriculture. Apply Today!